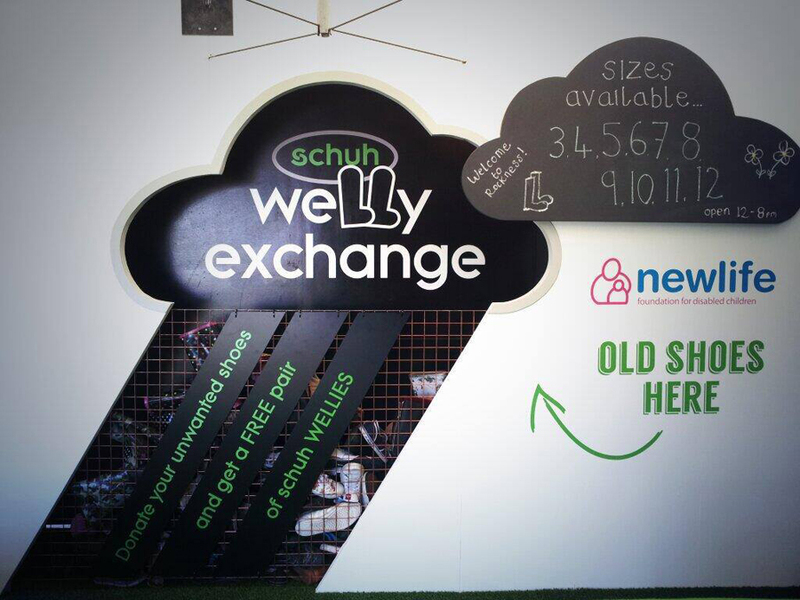 This year the schuh Welly Exchange is back, with a whole new look! Our revamped installation made its festival debut at this year’s Rockness and this weekend it’s returning to the gorgeous Lulworth Castle for Camp Bestival! 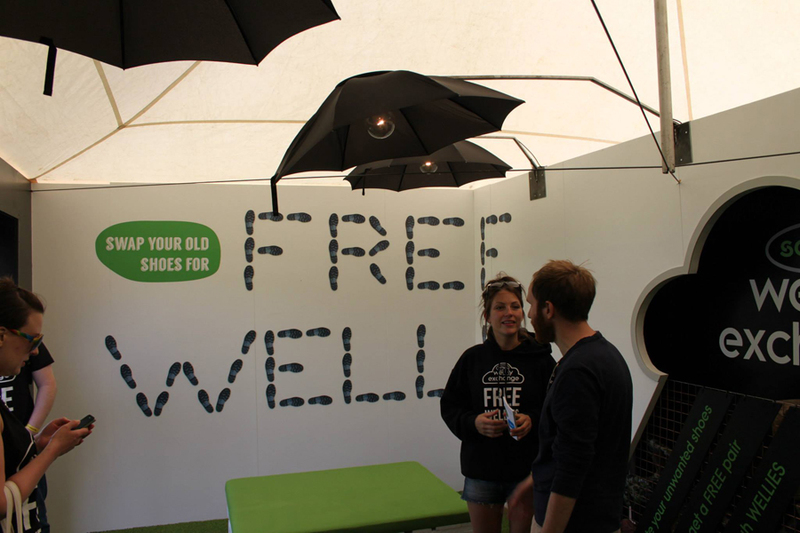 The schuh Welly Exchange launched in 2009, and has been headlining some of the UK’s top music festivals ever since. The premise is simple: bring us your old, unwanted shoes and in return we’ll give you a pair of brand spanking new schuh wellies! Not only that, but your old shoes will then be recycled by the Newlife Foundation to raise money for disabled and terminally ill children in the UK. Camp Bestival is family friendly fun so we’re going to have kids’ wellies as well as all the adult sizes! Rain IS forecast so make sure you pop in to see us with your grubby shoes and some sparkling conversation! We can’t wait!